One of my earlier pieces. While I worked in the Box Office at the Troy Music Hall, I put together this poster for an upcoming concert for fun. They put it up on the front door of the ticket office. 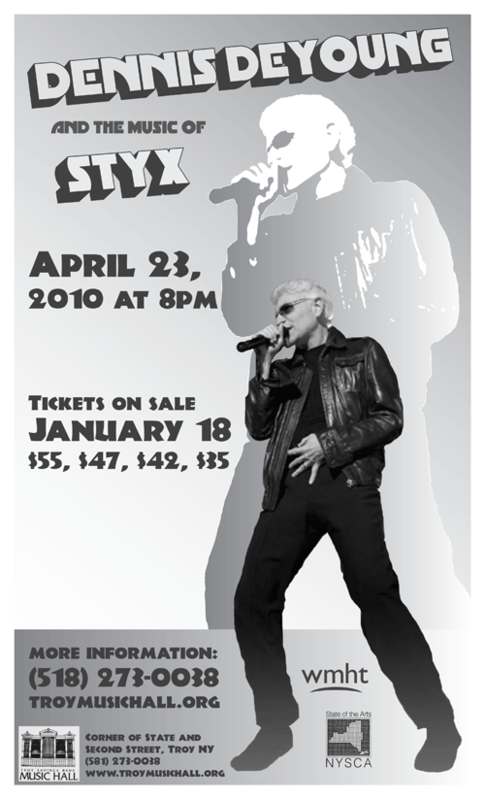 Published November 13, 2014 at 500 × 824 in Flyer – Dennis DeYoung and the music of Styx.